Despite a long and sometimes difficult career as a combat sub pilot, Archard still manages to remain good-humoured and friendly when off-duty. Now the Chief Executive and commanding officer of small private military firm ‘The Skillet Hussars’, Archard is trying to put his past behind him and forge a new path with a contract in Freeholt City. As a talented squad-leader he’s and asset to any sub squad, as well as being experienced in close-quarters combat. 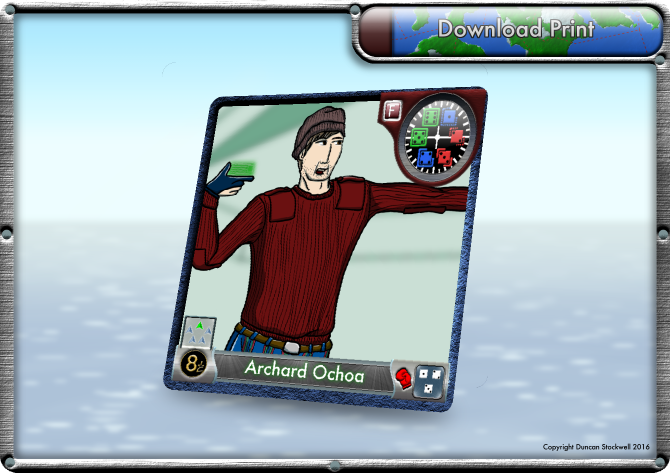 Whilst his skill-set could offer high-powered attacks in heavily armoured subs, it may also be an idea to deploy Archard in a faster sub to allow for manoeuvring room when he is contemplating on the best course of action.